Superhero comics are sometimes criticized by detractors as being stories that never end about characters that never age. Such a reading characterizes the form as lacking a sense of purpose, evolution, and finality. Likewise, that same criticism is often leveled against movie franchises featuring said heroes. The current trend of “rebooting” certain franchises does nothing to contradict that notion, as these reboots usually occur without the previous cinematic iteration of the character having reached anything resembling closure. 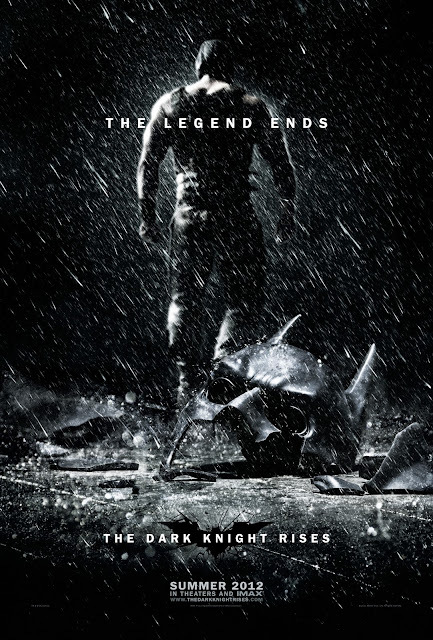 The Dark Knight Rising stands apart from its peers in that the marketing emanates a sense of finality. The second poster for the film places that sentiment firmly in the forefront. The poster shows Batman nemesis Bane in the background, his back turned to the camera as he walks off into the infinite darkness of the rainy night. Batman’s shattered cowl occupies the bottom half of the image. It lies on the floor like piece of smashed pottery. 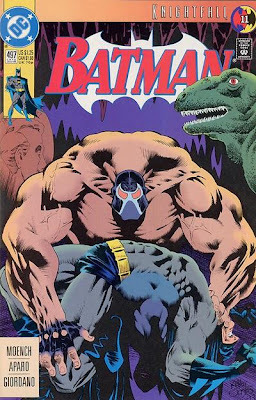 The message is simple and unmistakable: Bane has broken the Batman. It conveys the exact same idea as the cover of Batman #497 without actually showing the act in question. How bane will accomplish this goal remains to be seen. Our hero will clearly face some real adversity this time out. He will do so without the benefit of a cliffhanger, as this is being touted as the conclusion of a trilogy. It will be Christopher Nolan’s third and final Batman film. Christopher Nolan’s vision of Batman has had a first and second act. This summer, it will receive a third and final one. This is the first piece of advertising for the film that makes such a point unequivocally. It almost feels like an artistic gauntlet has been thrown down. Nolan might become the first filmmaker ever to present a full and complete portrait of a superhero, barring that this third installment lives up to expectations. In a perfect world, Warner Brothers would simply retire the franchise for a decade or more after releasing Dark Knight Rises. Alas, the show must go on, whether or not Nolan is calling the shots. This is a business, and cash cows must be milked indefinitely. Nolan’s artistic pretensions run contrary to that thinking, and superhero films may end up being all the better for it in the long run.